I am always looking for ways to spice up our summer menu. 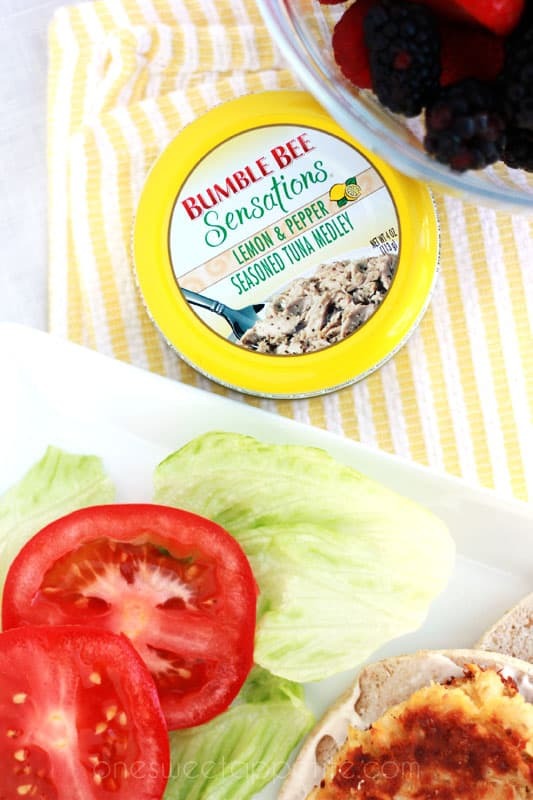 When Bumble Bee came to me with the opportunity to review their new line of Bumble Bee Sensations I decided to look outside of the typical tuna salad and try something new. 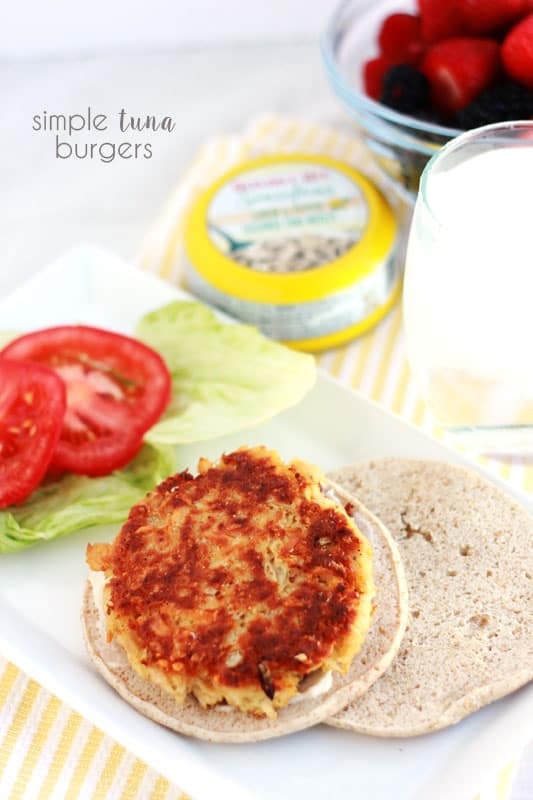 These easy lemon pepper tuna burgers took little time to prepare and were a fun variation of the typical burger! 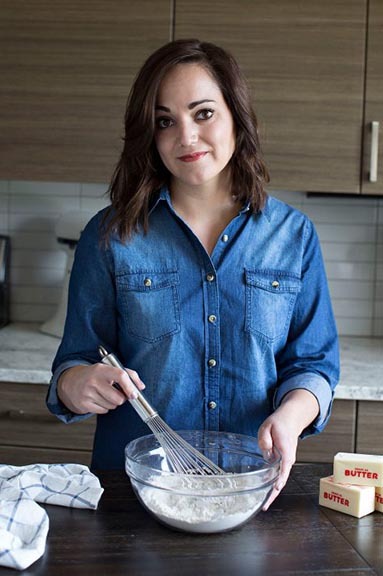 I’ve made this recipe twice. First with the Spicy Thai Chili, which was amazing, but by far the lemon pepper tuna was our favorite. I’m a sucker for citrus but I’m sure any of their THREE sensation flavors would make this meal pop. Or even the three Prime Fillet flavors. If you are looking for a great snack the prime fillet flavors are convenient and nutritious. 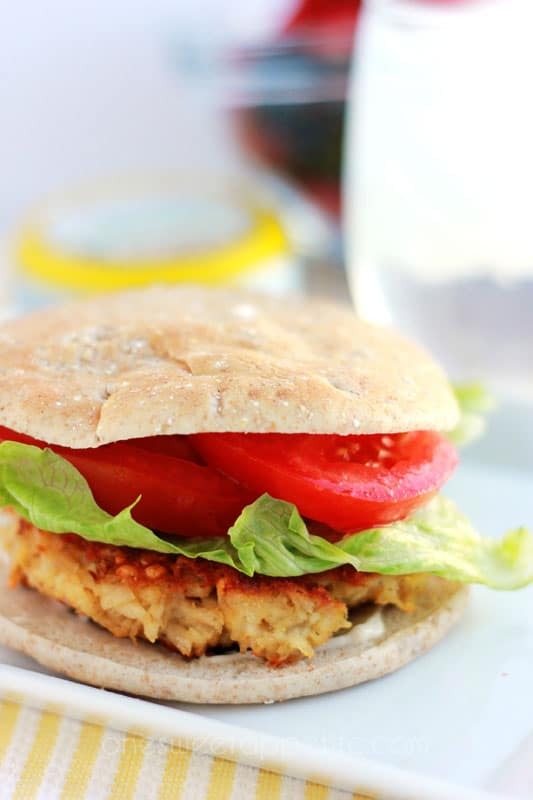 There are a ton of great recipes on the Bumble Bee site. Which one would you try? Right when we opened the can our home was filled with a wonderful lemon sent. I was prepared for more of a fishy smell but didn’t get that at all. The lightly marinated premium tuna is available in 3.6oz kits or 4oz cans or you can find the prime fillet in 2.5oz pouches or 5oz cans. 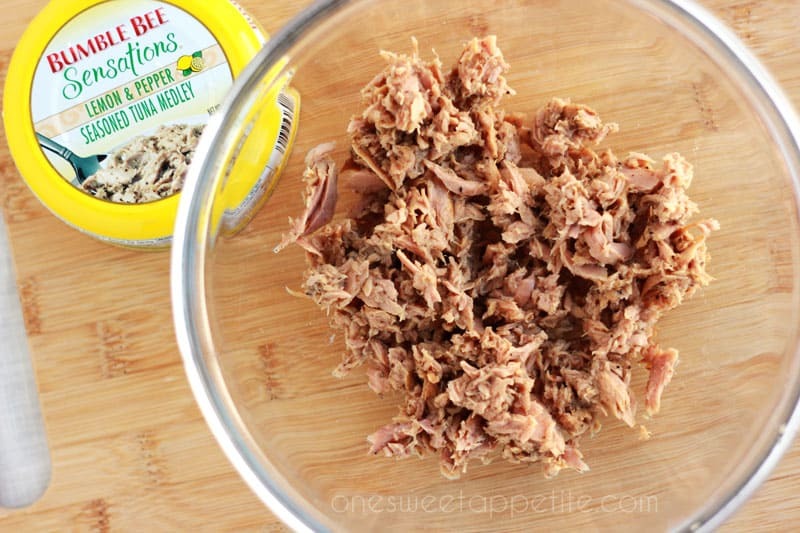 Mix the tuna, eggs, Parmesan, bread crumbs, and onion in a medium bowl until fully combined. Using a half cup measuring cup shape into patties.